At this year’s ElmiaWood show, a new spectacular sport launched. Chainsaw Frisbee or “Lumberjack Frisbee” as the organizer named it. 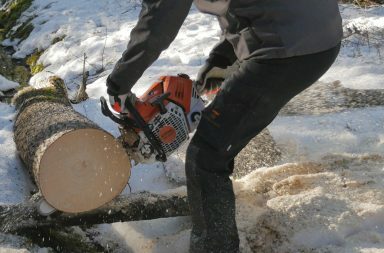 It’s all about shooting a wood slice as far as you can, with the help of a chainsaw. Fredrik Reuter, who runs the forestry websites skogsforum.se and forestry.com, got the first idea when working with a brush cutter in the familys forest. says Fredrik. At that point the idea of ​​developing this forces into something fun or to a competition was born. After some welding and fixing, the throwing rig was ready. 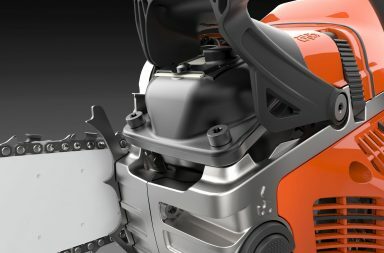 In Skogsforum’s stand at Elmia Wood, it was powered with a ported chainsaw and loaded with thin slices of round wood. The edges and angles on the saw chain were adjusted to get as good throwing force as possible. During the show days there was a que from the first day and in total, more than 200 persons tried their skills. The track had signs indicating the length up to 35 meters. It seemed to be more than enough. Until Iceland’s one and only harvester operator entered the competition. 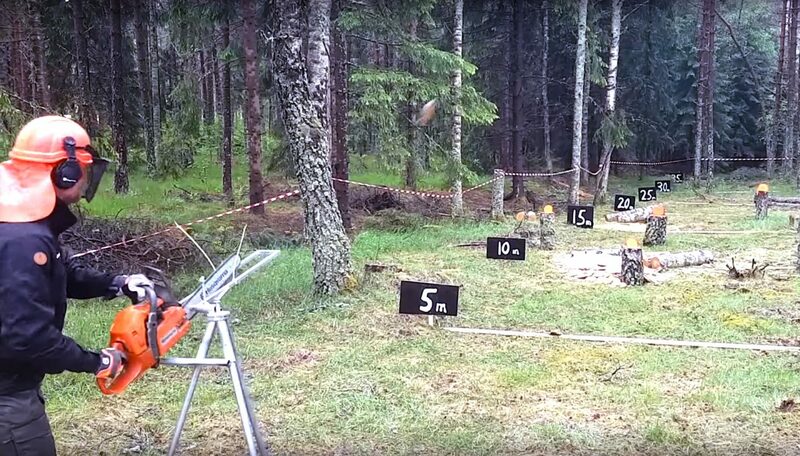 Oskar Grönholm from Iceland managed to shoot a wooden slice for a total of 38 meters. The record last for the whole exhibition. Oskar’s father, Einar Oskarsson, made the second longest shot, just some meters shorter. The Icelanders are obviously not only successful i football. 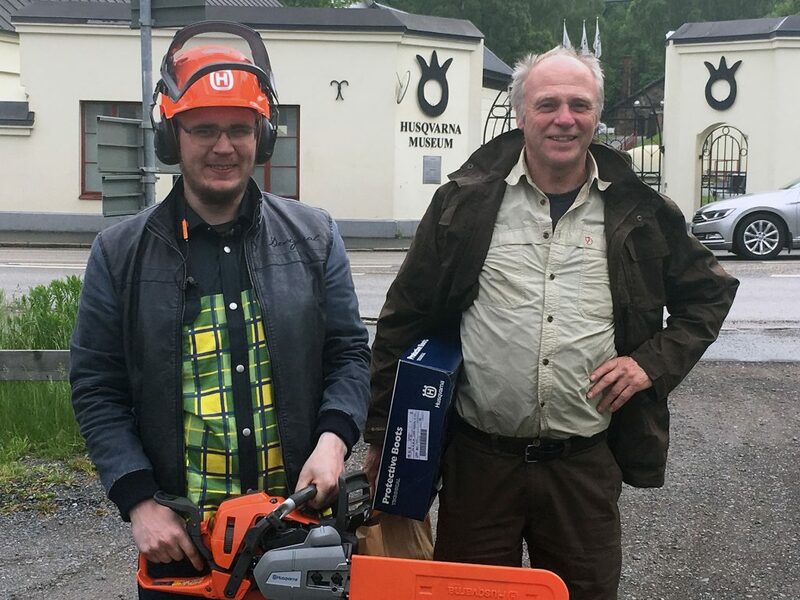 The day after the fair, Skogsforum met the prize winner outside Husqvarna Industrial Museum in Huskvarna, Sweden for handing over the price, which of course was a chainsaw. The lucky winner told a little more about his job as Iceland’s sole harvester operator driving a Gremo. says Oskar. Oskar’s father works in the Icelandic State Forest administration and he says that the forest now grows enough to feed one harvester without Iceland being deforested again. Oskar Grönros from Iceland became winner of the world premiere of Chainsaw Frisbee. Here with his prize in front of Husqvarna Factory Museum, Sweden. 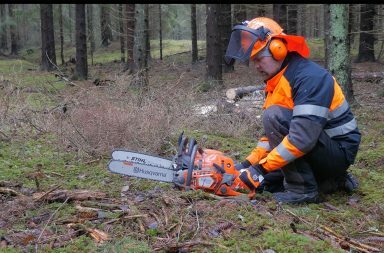 Oskar runs Iceland’s only forest harvester. 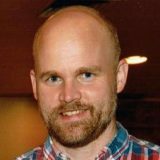 His father Einar Oskarsson (right) works in the Icelandic State Forest Administration. Here is a short video from the fair with people trying out the “frisbee”. Exactly Martin, thanks for the comment!